The Fancy, an ecommerce discovery startup that’s backed by Square’s Jack Dorsey, has a new partnership with Google+. 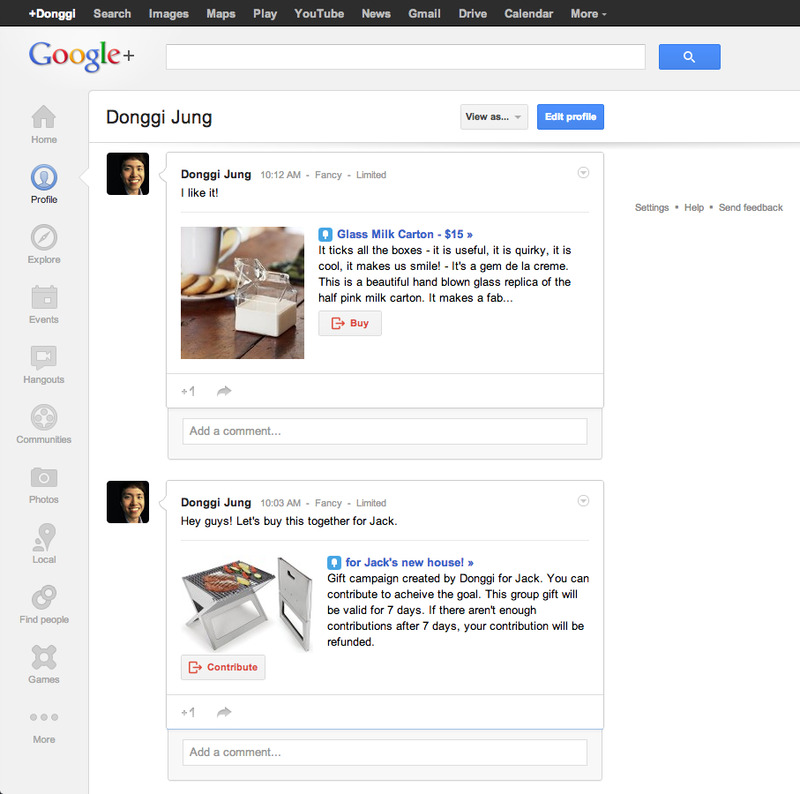 Now, when users sign in to The Fancy with Google + accounts, they’ll be able buy and share items on the social network. Other Google+ users can either contribute to gifts featured on The Fancy or buy an item outright from Google’s site. The Google+ integration also allows users to automatically download The Fancy’s app to Android devices. The app is currently available on iPhones, iPads, Androids, Android tablets, Windows mobile, and the web. The Fancy is one of the first sites to use Google’s new “Sign in with Google+” button. Users can also sign in with Facebook and Twitter. This is Google+’s first dive into e-commerce. Facebook recently went head first into e-commerce with “Gifts,” allowing users to buy items directly from their feeds.